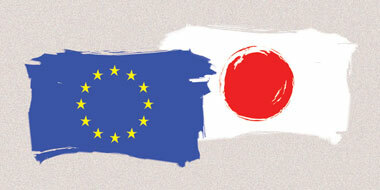 On January 23, the EU Commission has adopted its adequacy decision on Japan, allowing personal data to flow freely from the EU to Japan on the basis of mutually agreed data protection standards. In addition and for the first time in the history of EU adequacy discussions, Japan is also granting an equivalent status to the EU, thus creating the first mutual system for data flows. This is also the first adequacy decision granted on the basis of the GDPR. This adoption is the last step in the procedure launched in September 2018 by the EU, which included the opinion of the European Data Protection Board (EDPB) and the agreement from a committee composed of representatives of the EU Member States. The adequacy started applying as of January 23 and after two years, a first joint review will be carried out to assess the functioning of the framework. More information on the adequacy decision and process here.